Sydney just might be one of the most competitive cities in the nation when it comes to getting ranked in Google. If you want the best Sydney SEO, it’s critical that you partner with an SEO and digital marketing firm that understands what it takes to get ranked, even in a thriving and competitive city like Sydney. We at Divergent Media are committed to helping our clients achieve their goals through an SEO and digital marketing strategy that works. 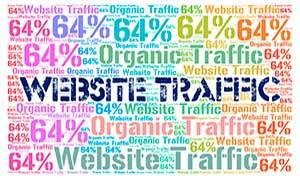 Every day that your competitors outrank you in Google is costing you money. Studies show that Google users rarely look past the third search result, so if you aren’t ranking in the most competitive searches related to your business, you might as well be handing money to your competitors. We take Sydney SEO to a whole new level by providing a comprehensive strategy that leaves no corners cut and no stone unturned. By combining multiple marketing strategies including web design, content marketing, social media management and more, we give our clients visibility through Google ranking while simultaneously providing them with a platform to communicate with their best potential customers, build quality relationships and ultimately drive business. Let’s look at how we make it our business to see yours thrive. One of the often-overlooked factors in getting your website ranked is the speed and quality of your page. We can optimize your businesses website or even build a brand new one from the ground up to ensure that you aren’t receiving any penalties when indexed by Google. By conducting a thorough audit of your site’s speed, navigation, and performance we can pinpoint any issues affecting your ranking and come up with a solution to remedy them. 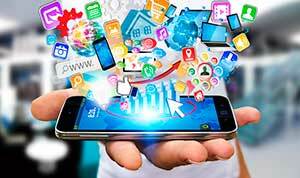 Over 50% of Google searches today are from mobile devices such as smartphones and tablets, and Google considers mobile-friendliness in its ranking algorithms. By ensuring that your website is optimized for mobile, we satisfy a sizable portion of your customer base and improve your ranking. What’s the point of being in the spotlight if you haven’t got anything to show once you get there? By providing your website with well-written, high-quality content, we can help you effectively communicate your products and mission, engaging your customers and ultimately driving more traffic and more sales. Our expert content writers can carefully craft your websites content with incorporated keyword research to help you climb to the top of Google and stay there. The result is content that simultaneously ranks and communicates. By actively managing your company’s social media presence we can help you actively engage your customers and help drive more traffic to your website. 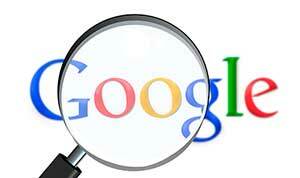 Google and other leading search engines consider social media activity when ranking websites. A website that is shared and talked about seems relevant and useful to their users. When deciding which Sydney SEO agency to partner with, it’s crucial that you choose an SEO firm that understands the full picture of Sydney SEO, and can deliver a well-rounded strategy that considers all forms of digital marketing and how it pertains to SEO. Google and other leading engines update their algorithms constantly to improve their user’s experience, leaving many Sydney SEO firms in the dust. We stay on the cutting edge of SEO and digital marketing through comprehensive research and analysis, adapting your marketing strategy to suit the changing SEO landscape and making sure that you are ahead of your competitors at every turn. Many Sydney SEO firms can get you ranked, at least in the short-term, but we at Divergent Media take it to the next level by providing you with a cutting-edge strategy that will allow you to build a foundation for your business to grow on for many years to come. Give us a call today for a free consultation and find out how we can guarantee you the best ROI in modern marketing.